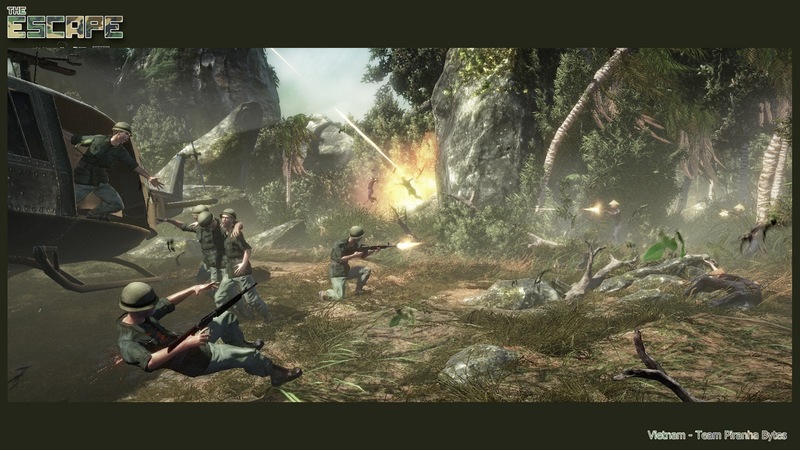 we'd like to enter this contest with an iconic escape scene like you can see it in nearly every Vietnam movie. An UH-1 (Huey) Helicopter hovers over a field taking up the fleeing and wounded soldiers that are still under fire that comes from the Vietcong from the jungle. Here are some example photos. which in no means resemble the final outcome. The final scene should incorporate much more drama and motion. a detailed description and a scribble for the scene layout will be posted later. So my girlfriend yste[M] and I are responsible for the characters. We started gathering references and most of them are from some well known movies. we are pleased to welcome "Victor Karp" to our team! 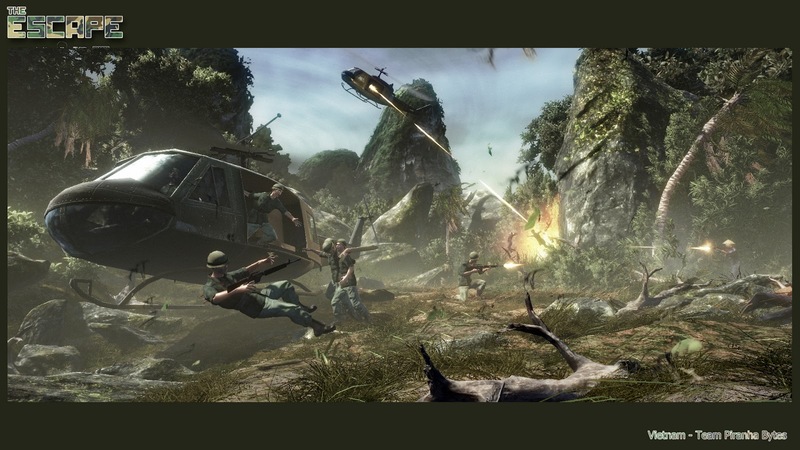 the main plot of this scene describes the evacuation of american soldiers under enemy gunfire, from an open field, that is surrounded by jungle and mountains somewhere in vietnam. so it is the soldiers escape from the jungle frontline. 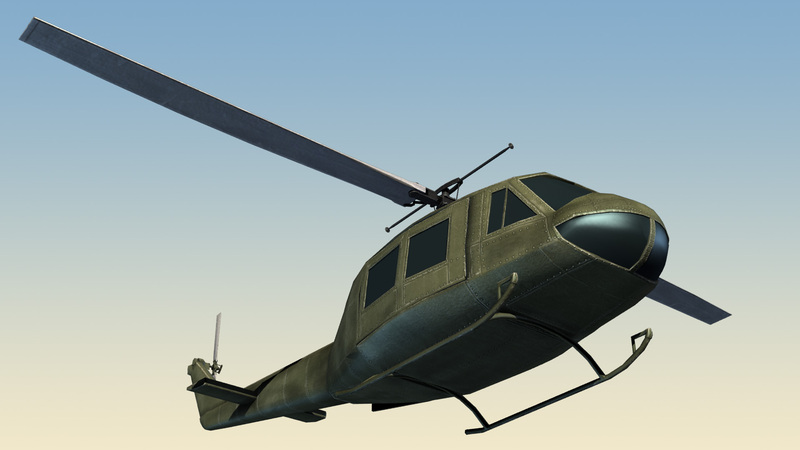 the soldiers will be rescued by a huey (UH-1) helcopter, that hovers very low above the ground of a grassy field. 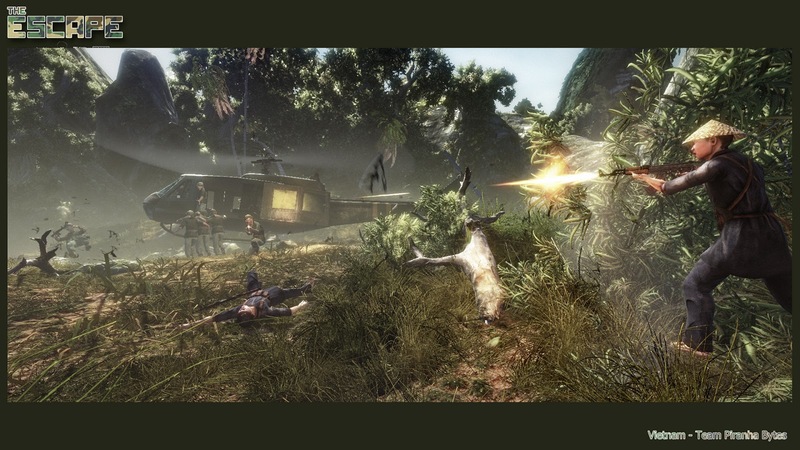 the soldiers will still be under attack, which is represented by muzzlefire that blasts out of different regions of the jungle. all in all there will be 5 escaping soldiers. one already in the helicopter giving a helping hand. one on the ground in front of the heli carrying a wounded soldier on his shoulders. 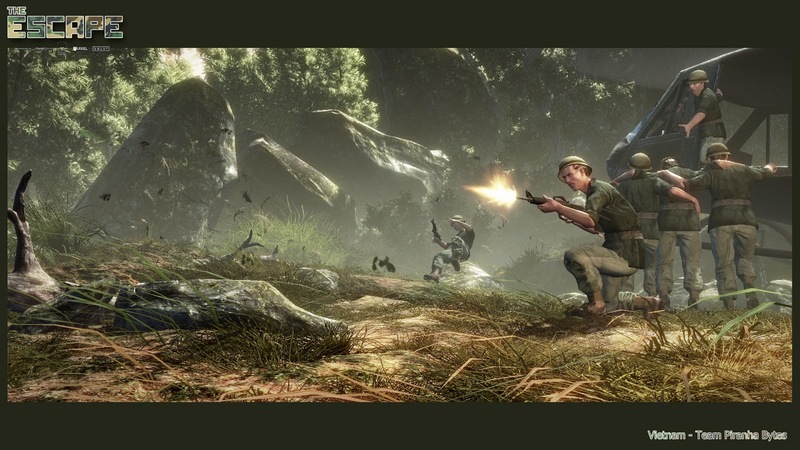 one soldier is ~5 meters away, crouching and firing back into the jungle giving cover. and one soldier that was also giving cover, but is being hit by a bullet and is pushed back by the impact, being midair for the screenshot. the scene should illustrate a lot of motion and the drama of the moment, by also directly showing that is an ongoing escape from a critical situation. 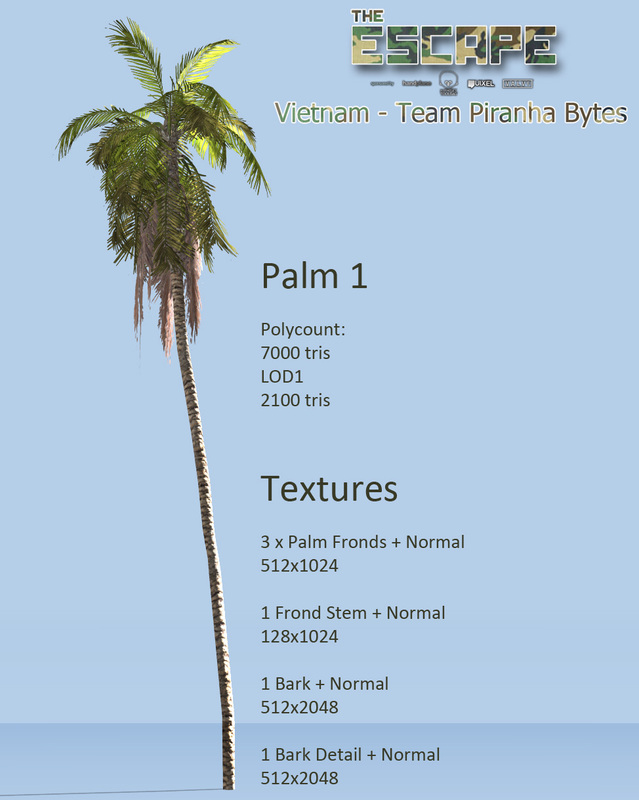 after we now got the permission from the polycount staff and the managment of our company, we can tell, that we use our Piranha-Bytes inhouse 3D realtime engine, named "Genome" Engine; which is currently only used for our 3rd person role playing games and is not public. anyway, you will screenshot of this engine also in our thread. the scene will incorporate a lot of freezed particle effects like dust clouds, muzzle fire, distance volumetric fog and dirt flying around. we will also make use of our advanced realtime daylightsystem. so there won't be any baked lightmaps. since our engine doesn't support these. the team consists of 5 people which are all but one working at Piranha Bytes. also there is a concept picture in the making, which should show the rough staging of the scene. We decided to add vietcong-fighrers to the scene and splitted up the work. Sonja will continue working on the marine characters while I will make a vietcong. 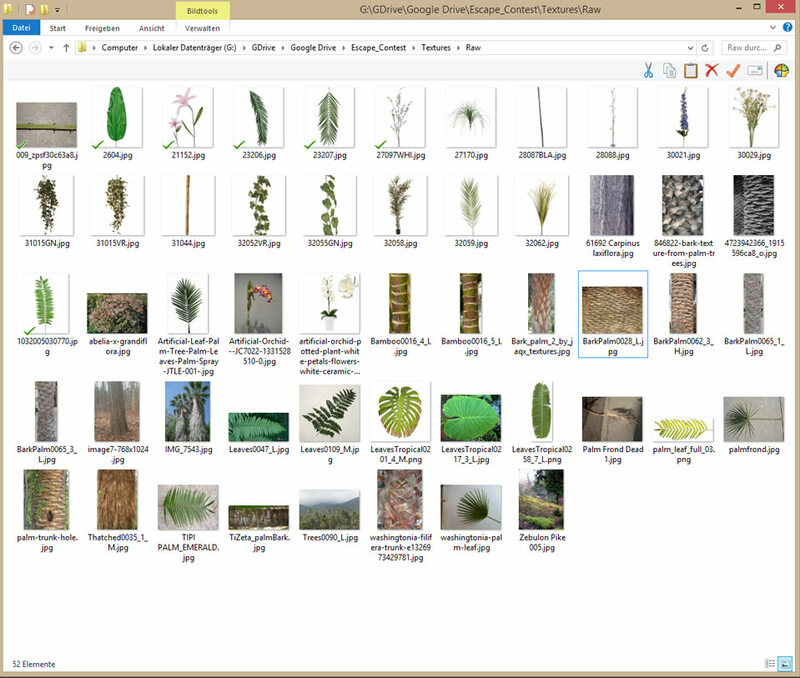 i searched the net for some good and raw foliage material. 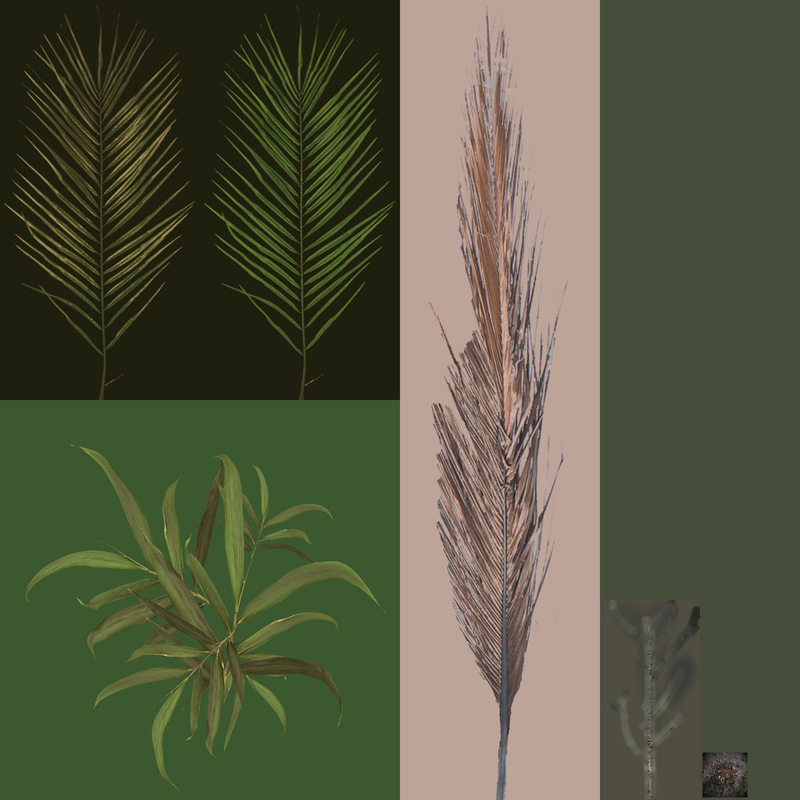 i will crop these later on and use these textures on lowpoly brushmeshes. 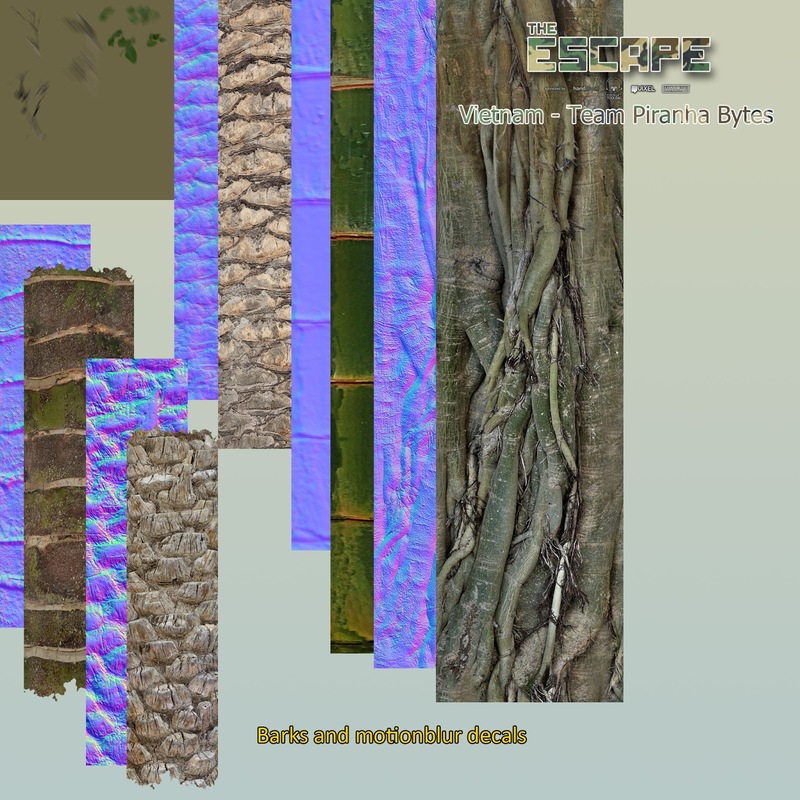 for the terraintextures, i browsed cgtextures and searched for some reddish and grassy grounds. i only download the untiled versions to make them tileable on my own. also i mixed some maps in order to match our ground-needs. the rock texture is only for the distance rocks. for closeup rocks, we will bake out some unique mapped stones. Looking good Sascha! 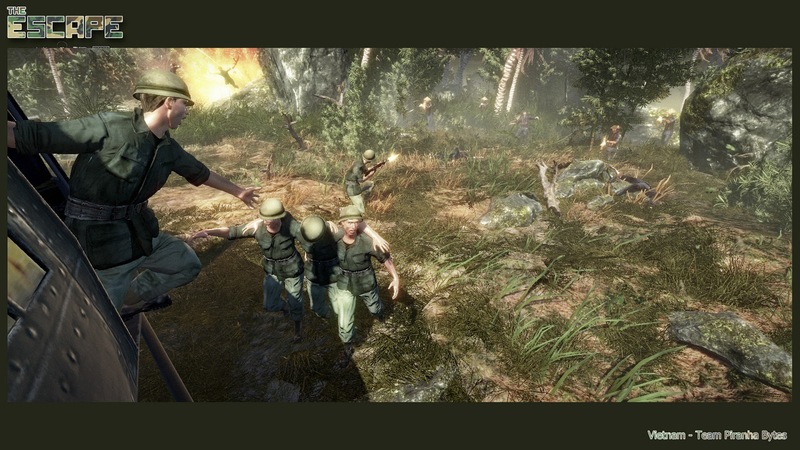 That scene from Platoon, with the guy running from dozens and dozens of VC is almost stereotypically epic. oh jens...hopefully my lectures did their job well and severely stalled all your progress in game art for the next 10 years! I love military stuff, so I'm definitely excited to see what you guys come up with, you have some good reference too so it should look pretty accurate! Definitely keeping my eye on this one! Good luck guys! here i tested the main ground mat and the rock material in our engine. 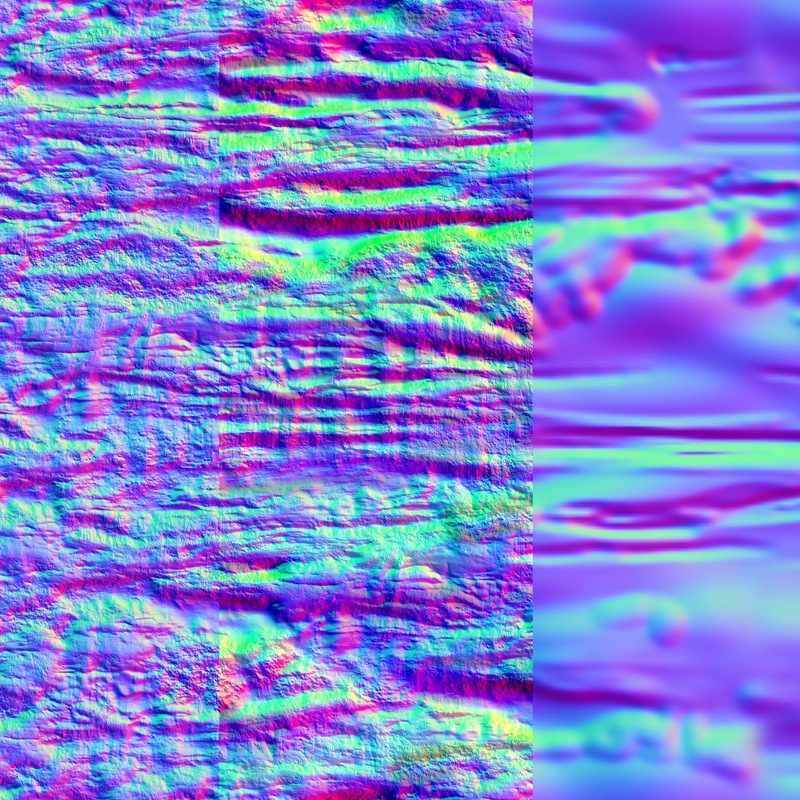 the normalmap was just converted via the nDo script into a normalmap. also i tried a first grass brush. this update was a milestone for me, since it was quite an act, to duplicate our engine workspace in another network place. but it works beside some weird shader bugs every now an then. but we'll work around this. hopefully my teammates will post their progress soon. 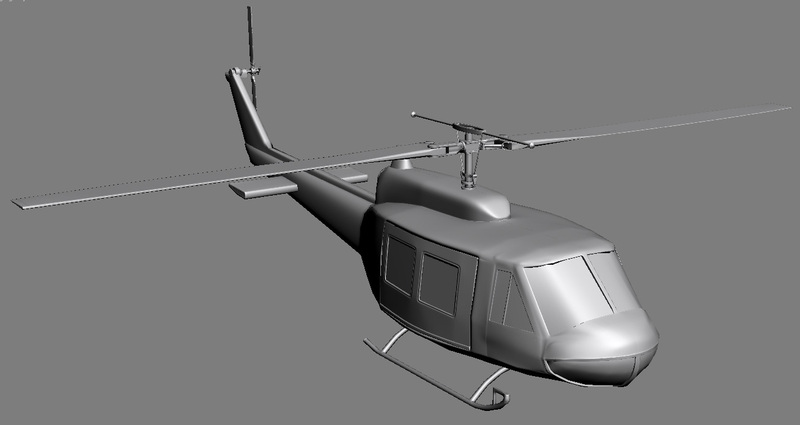 I've been collecting reference images and started to block out the chopper. Got me a SSD a few days ago and had to set up my system which means there is not that much progress. Seperated the head from the body and blocked out base shirt and pants. go Piranha Bytes! love that studio. i'll be very interested to see what yall produce. 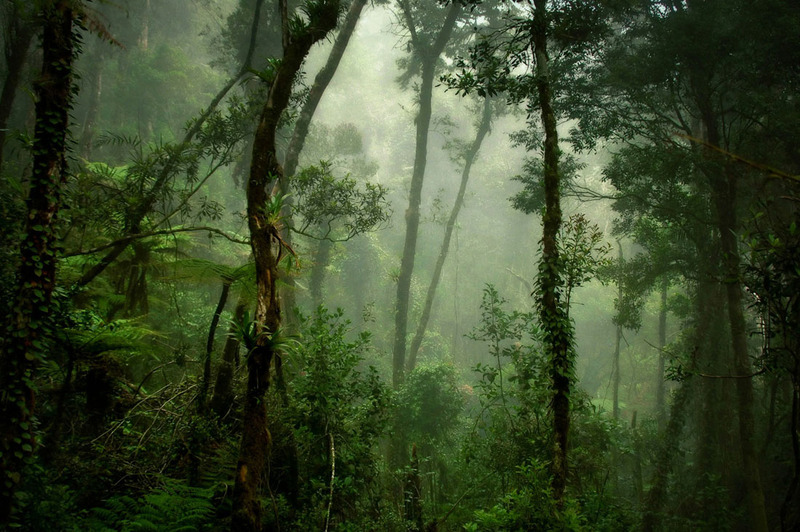 yay, here is a first tree of the rainforest. 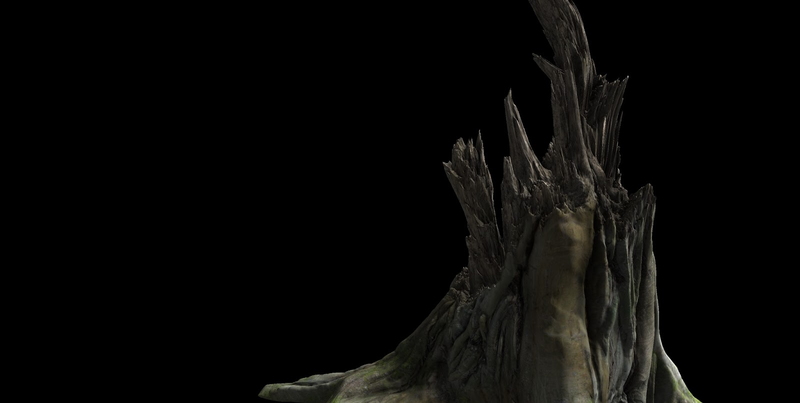 it's a speedtree with a bit higher poly and texture counts than in current games. would be not difficult to reduce the polycount though. 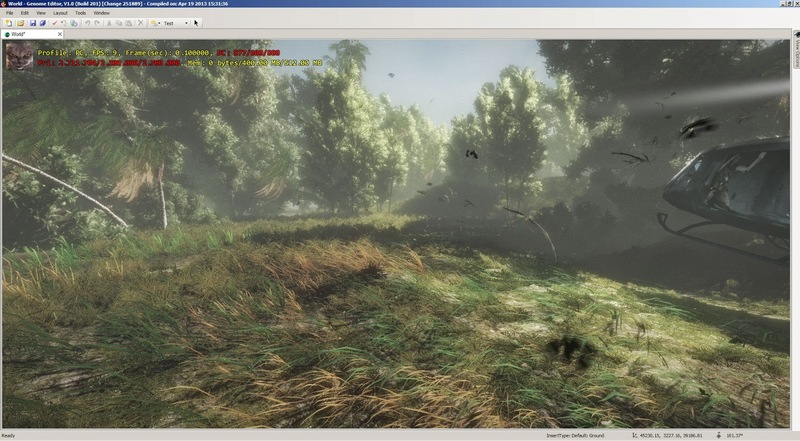 the shots are out of speedtree. 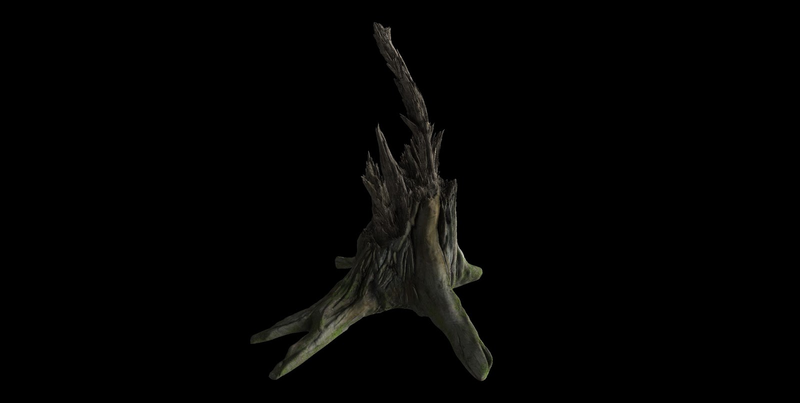 the tree is not implemented into the engine yet. 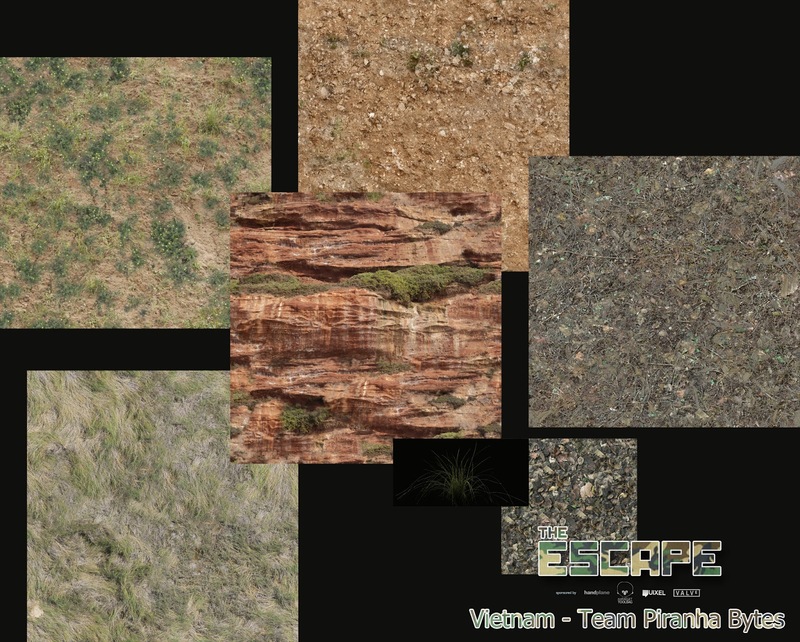 all textures and speedtree geo is from scratch. 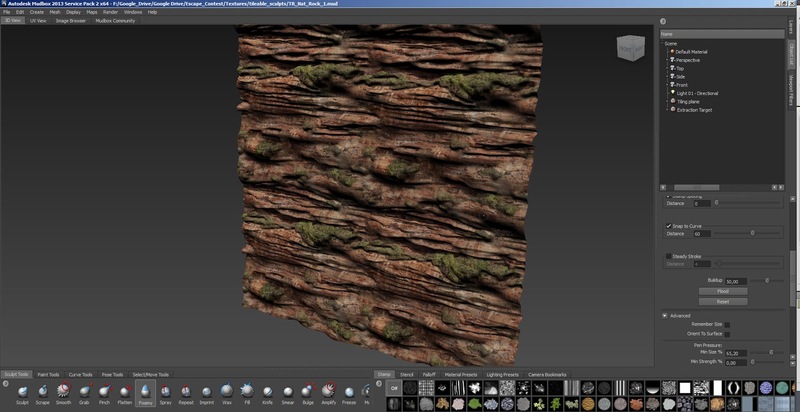 the raw texture material is from teh internets though. 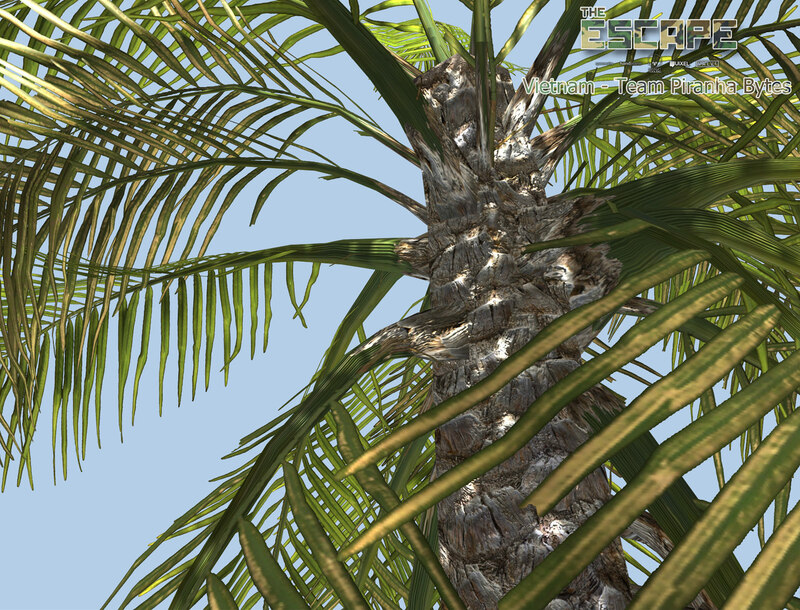 i used the bark detailmap even on the palm fronds, which blend them nicely into the bark. nice soldier, sonja! exactly the physique i hoped for! 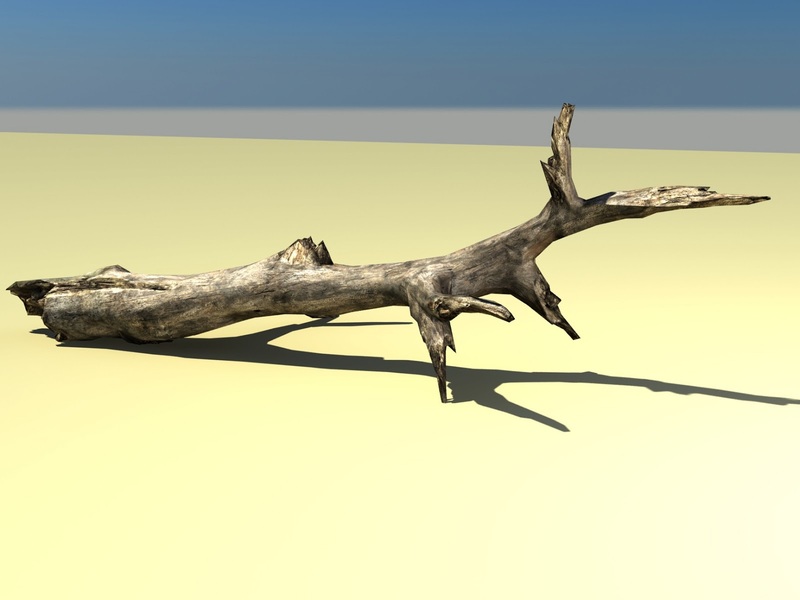 i just brought the tree and 9 derivates of bend and small variations into the engine. i also made a huge..well..giant bush, as a fill object. 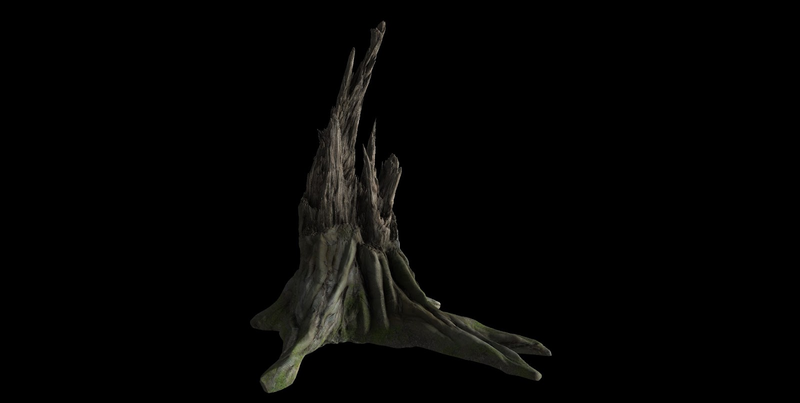 i will present this speedtree seperately when i made custom textures for it. 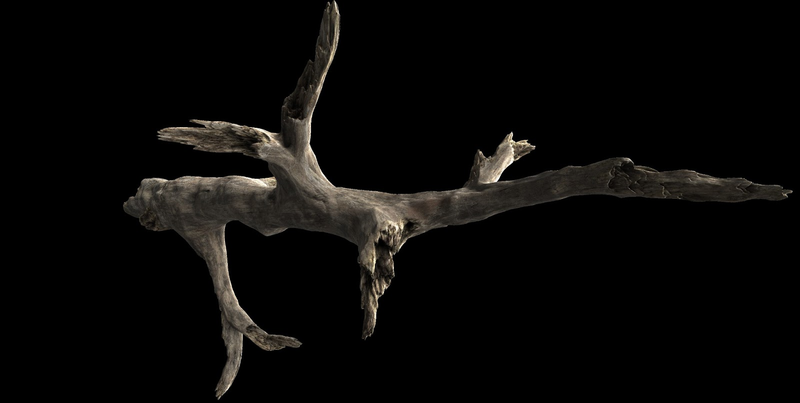 currently i used the standard speedtree textures for it to have a quick peek how it could look in the end. 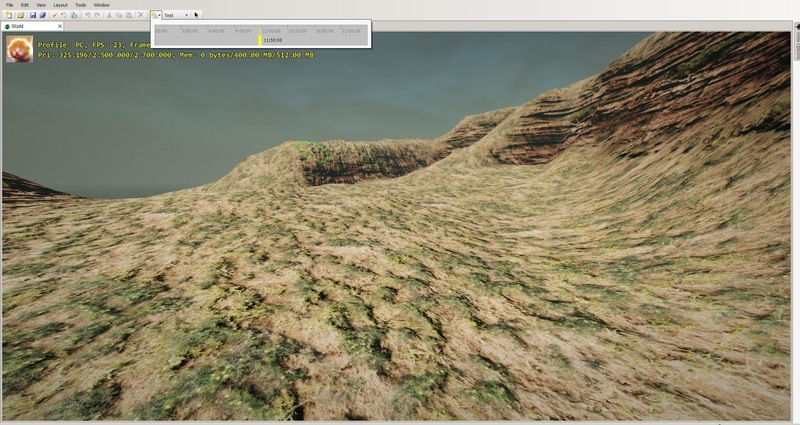 the terrain makes some trouble currently, since i cannot color it with vertexcolors. therefore it is too bright. this will be fixed later. update form paul, who seems to be kind of forumphob..he asked me to update this thread for him. 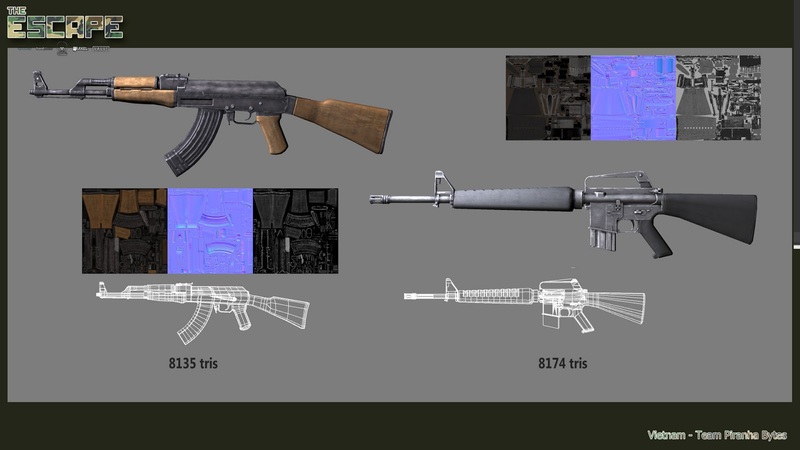 he works on the early version of the m16, which was used as a main weapon in the vietnam war. currently only highpoly stuff. it's a screengrab out of max. Choppertime! 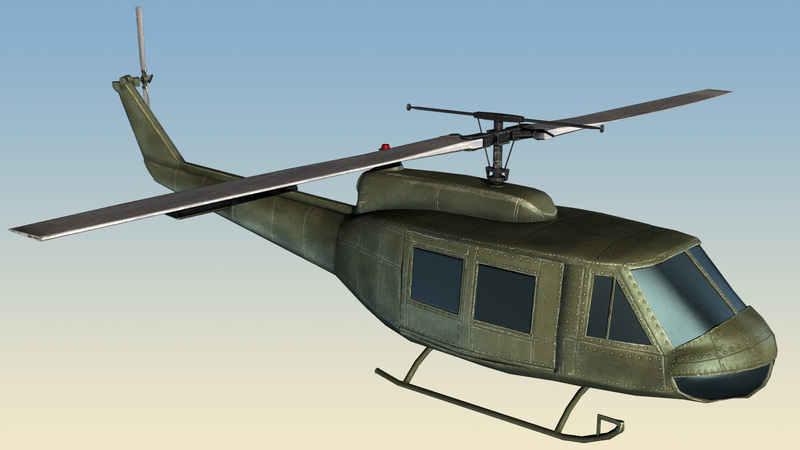 Have been working on the rear rotor and merged all other parts except for the rear wings. 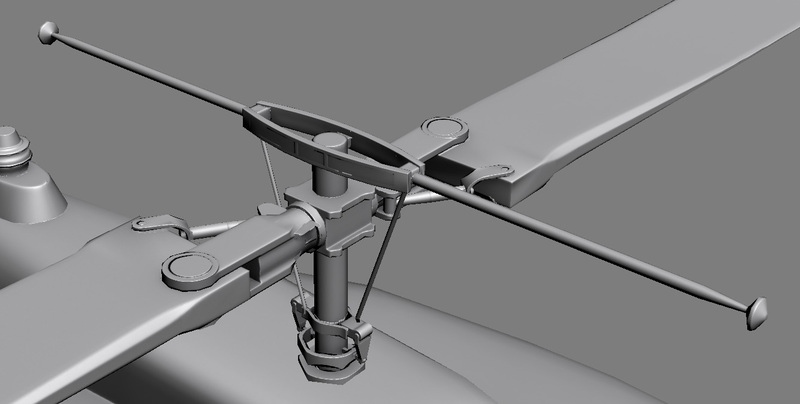 The next part will be the main rotor. here is a roundup of all things i done in the last week. 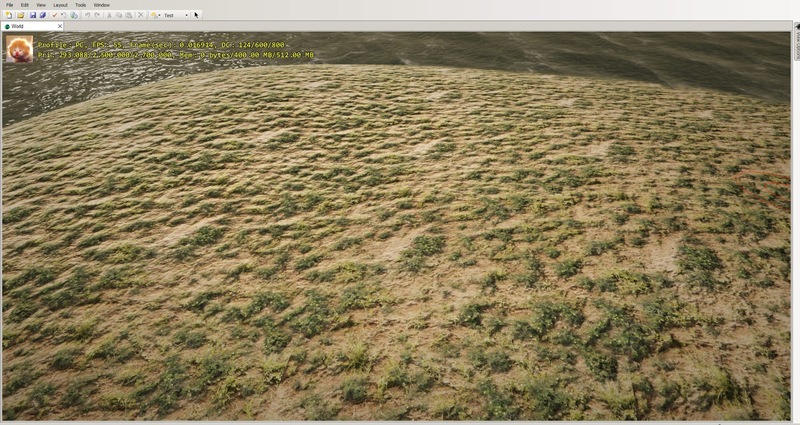 some new speedtrees. 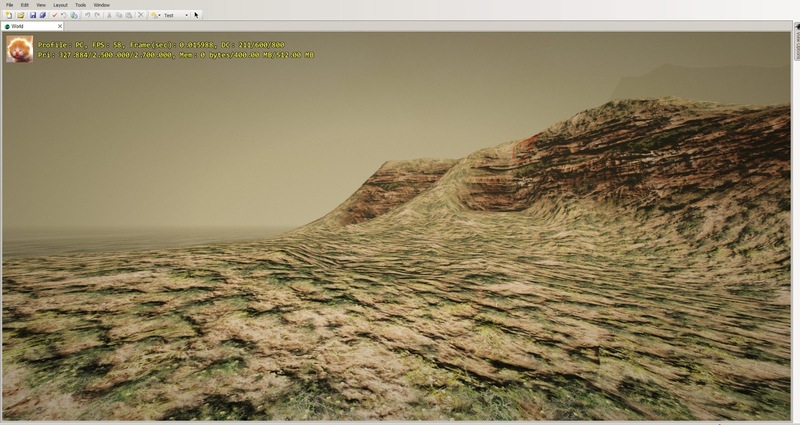 a new and better weather setting, some motionblur debris, and a dirty dummy helicopter from victor, with a dummy texture on it, place into a reworked environment. but first things first. here you see the current outcome in two perspectives and one different daytime. i tried to match the colorscheme from old original photos from back in the day. i'm still not there. the greens are too yellow. but i'll take care of it later. 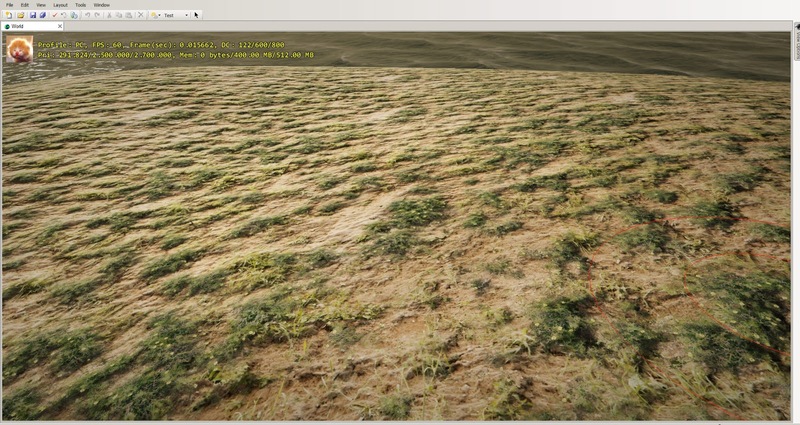 here are the compiled speedtree altlases with all textures i made for this scene. now all leaf material is 100% from me and brandnew. only the frondstwigs need to be exchanged later. 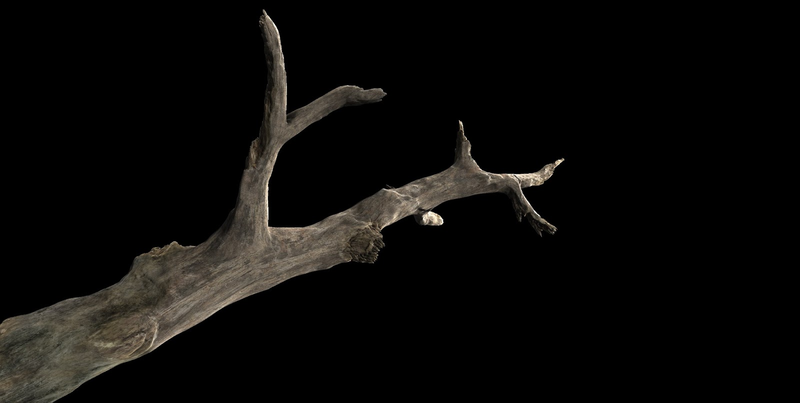 they are still from the speedtree library. since we have to submit stills, i made motionblurred decals that are floating midair in the scene, all around the helicopter. here are all brandnew barks and the floaters. finally a small update on the grounds. i tried to make them a bit darker. and with more variety. 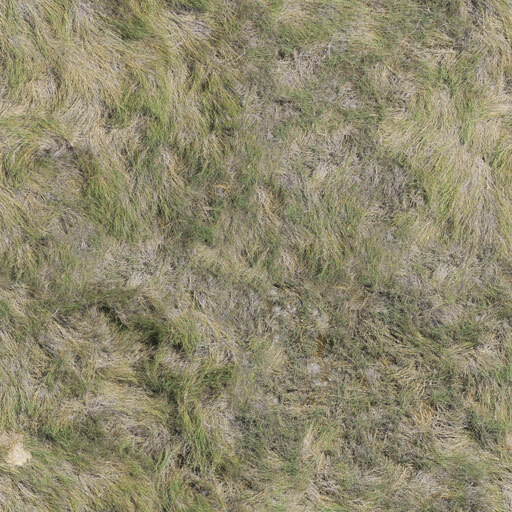 this is a groundtexture with flattened grass. very good to use around the helicopter. i set up a parallax shader for all grounds, and when the sun shines in a low angle to it. it turns out to work well enough. here the best bark in action. the liana in action. it has a pixelstrechy bark currently. needs to be fixed. 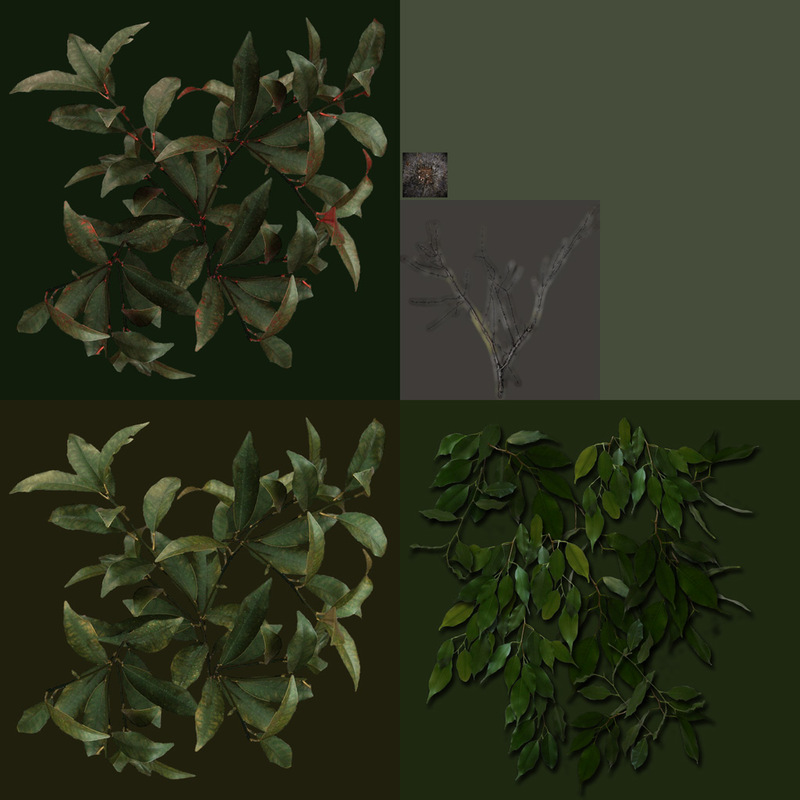 here are new broadleaf trees, with new leaf textures and barks. see the bambus bark in action. this bark has a detail texture at ground level. geez. the whole scene took me a full night to assemble. luckily we use our own engine and all tasks are very familiar. I started to blockout the clothing and puches and added some basic foldes. 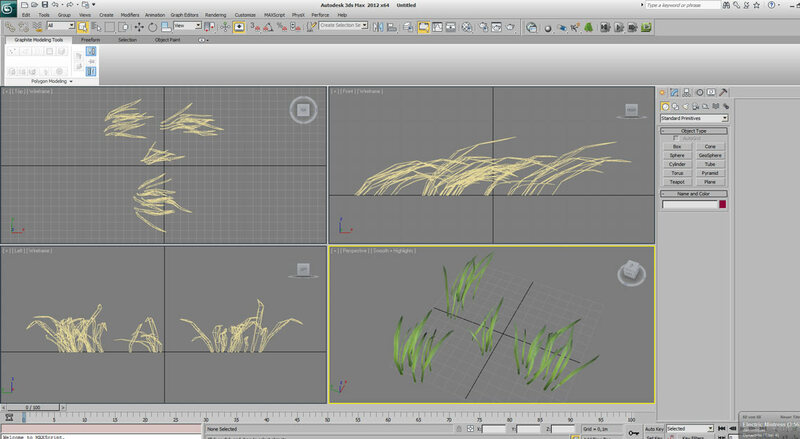 not much to show, but tonight i made some windy grassclumps. one with pressed down blades and one with more upstraight blades. 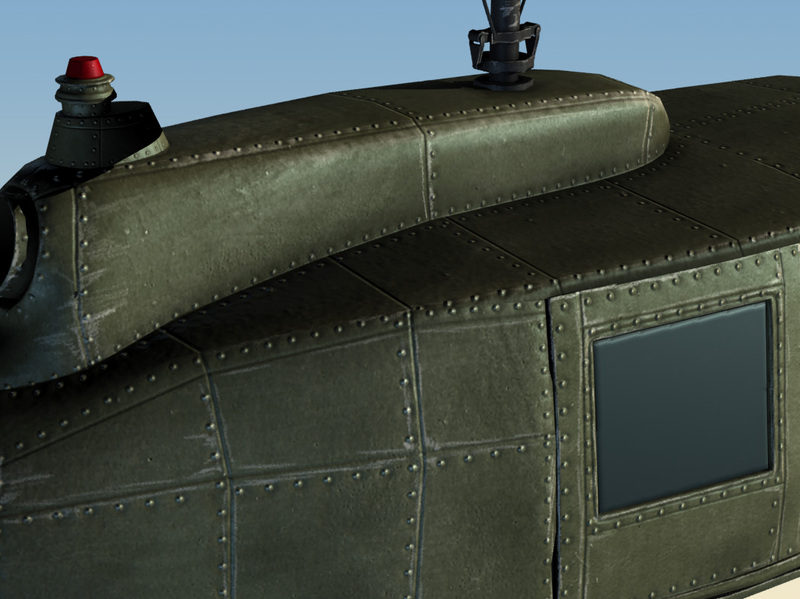 we have to create extra meshes for these, since our engine is not able to blow those aside. anyway, i chose to use single blades without any alpha. 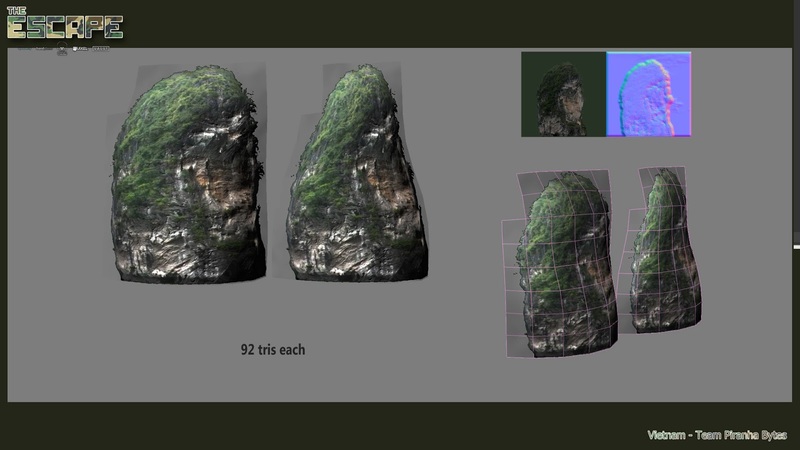 one cluster has 400 tris in lod 1. there is also a lod stage 2 with ~100 tris each that blend in after 10 meters. 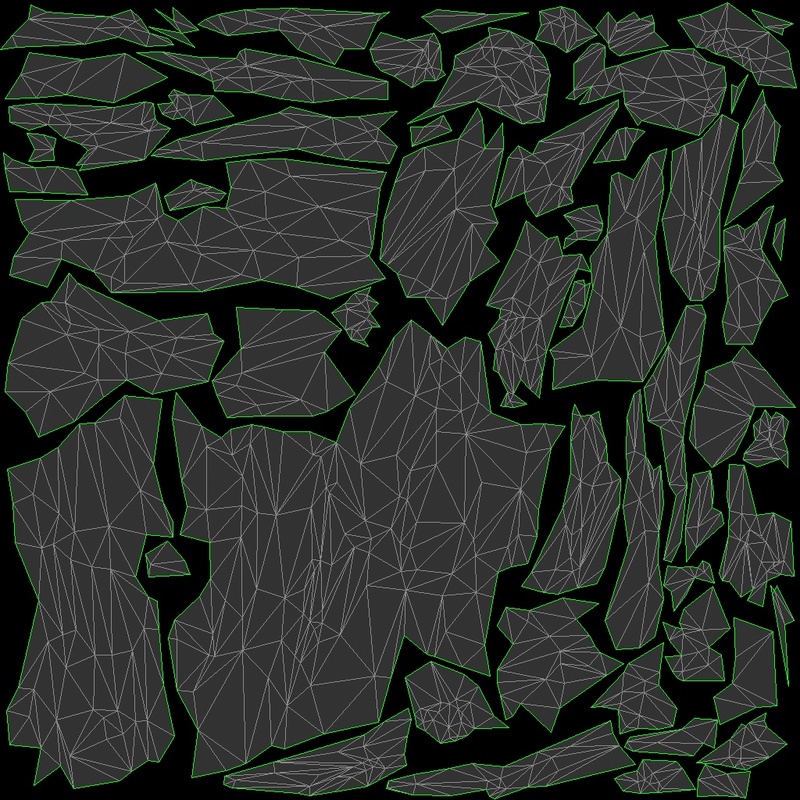 there are ~50 entities placed, which makes a total of 20000 tris if all were seen in lod1, which is not the case. the different colors are achieved by an object color switch. so the diffuse is nearly grey. here the geometry of both. the other one is only standing more up. Sascha I would like to give you advice how to upgrade your transparent textures. You can use free fotoshop plugins from Flamingpear. Especially solidify filters A, B or C. It will make transparent pixels color of most closest opaque one and will greatly enhance mipmaps generation and remove edge hallo from uniform BG color of leaf texture. This tip generally apply for all textures that utilize alpha channel. :thumbup: thanks man, i will absolutly try this. 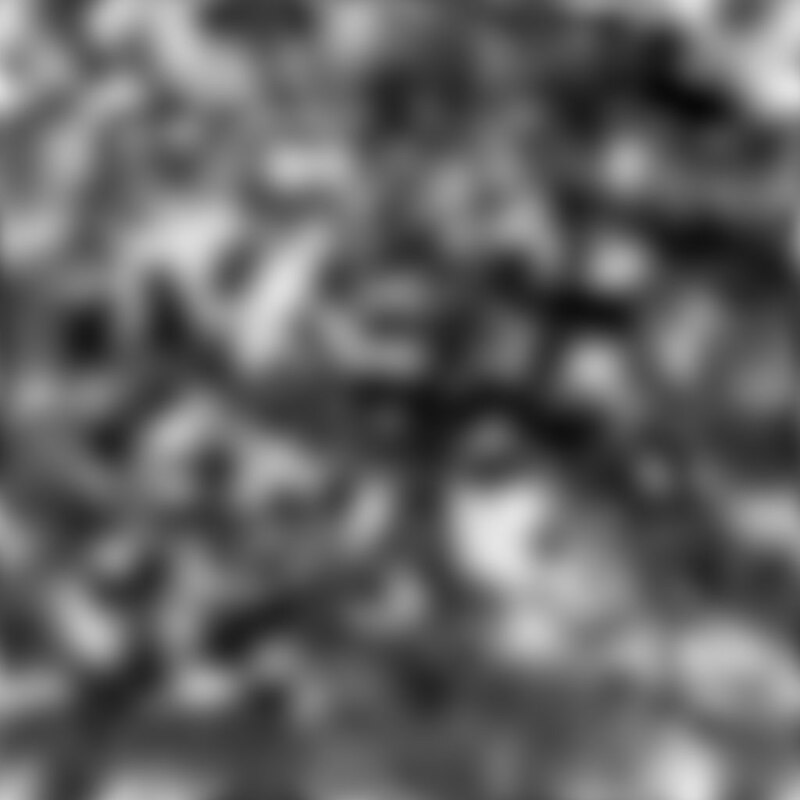 besides this i mostly use the pencil tool instead of brush, when cropping leaf structures. nevertheless, anytime those parts being scaled or transformed, all those hard edges become messed up. so thank you! I agree foliage looks good. 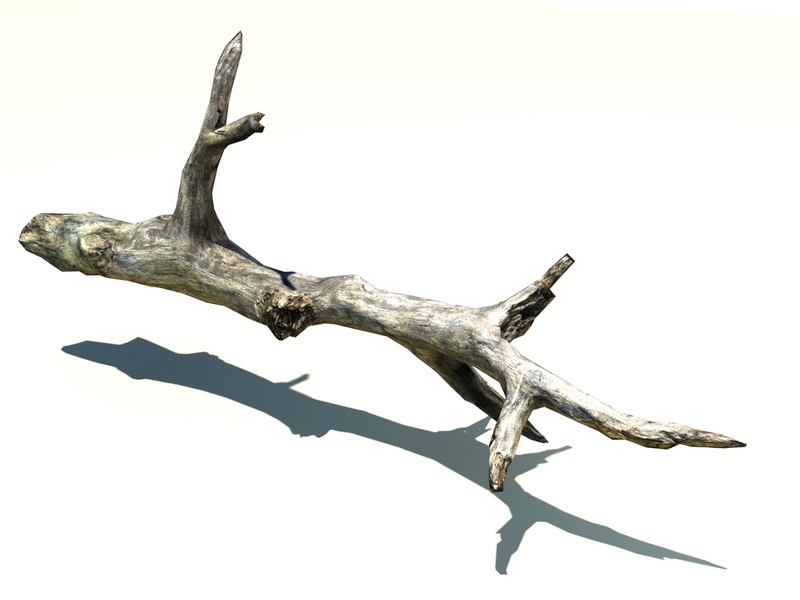 long time no see..i just painted the highpoly of the branch i planned to do. 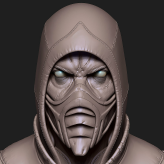 in the shots you see the basemesh, then the sculpt, and then some pics of the painted highpoly. a new stone will also be made. but that comes later. 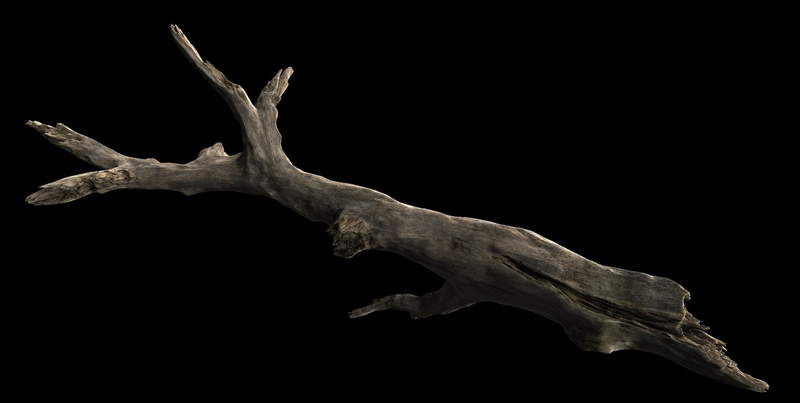 i just pumped out another treeprop in an amazing ~3 hours from basemesh to painted highpoly. 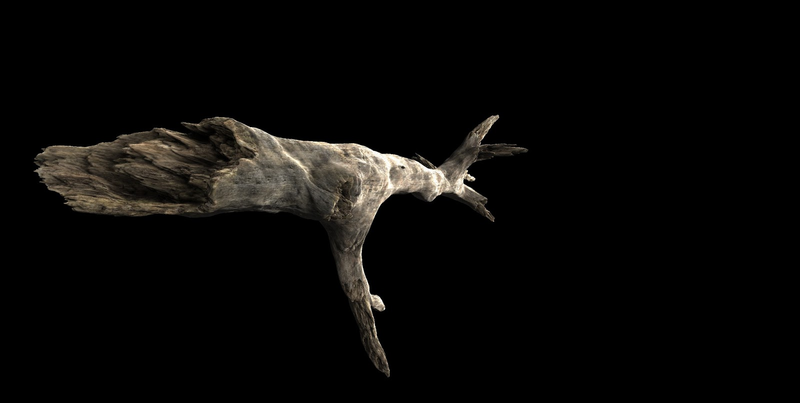 (it looks more time consuming than it really is ) should resemble an exploded treetrunk, like hit by a grenade or something. 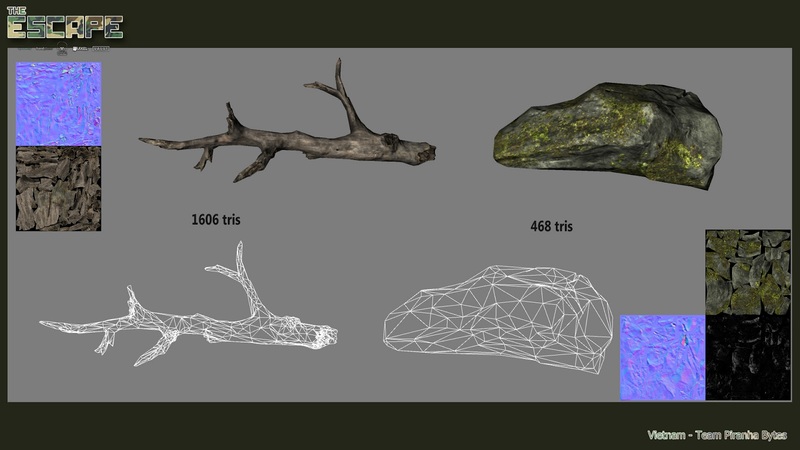 mapping of organic pieces like jagged stones or trees is a mess and takes ages..i must find a better workflow for that..
asset galore today. good progress on the chars guys and gals! i cannot wait to see them finished! perhaps we can really make it before the 12th! 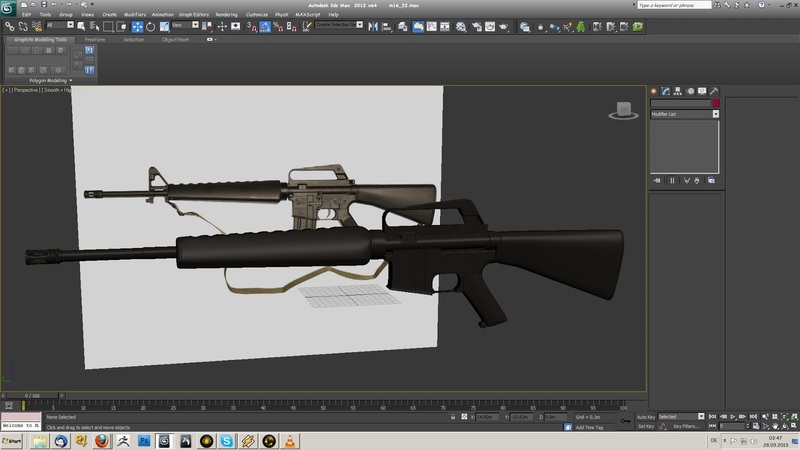 an update on the highpoly m16 came from paul. i have to post it, since he is not willing to post on the forums..lol. finally he finished the highpoly. i'm especially impressed by his rifle. looks very kewl imo. 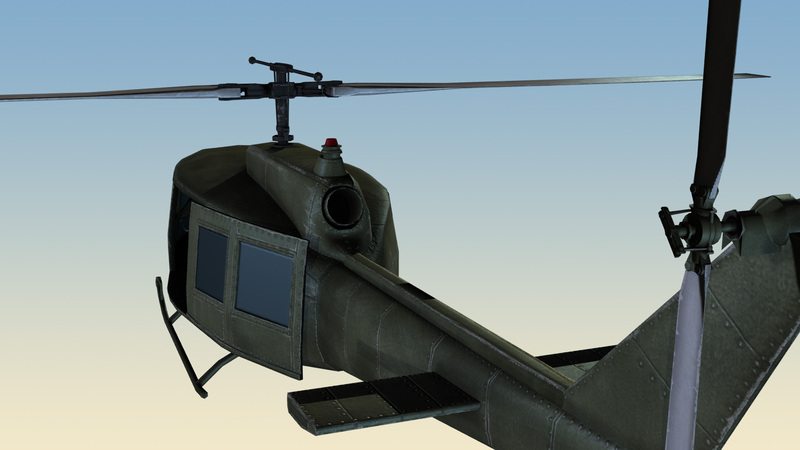 And finally the huey. 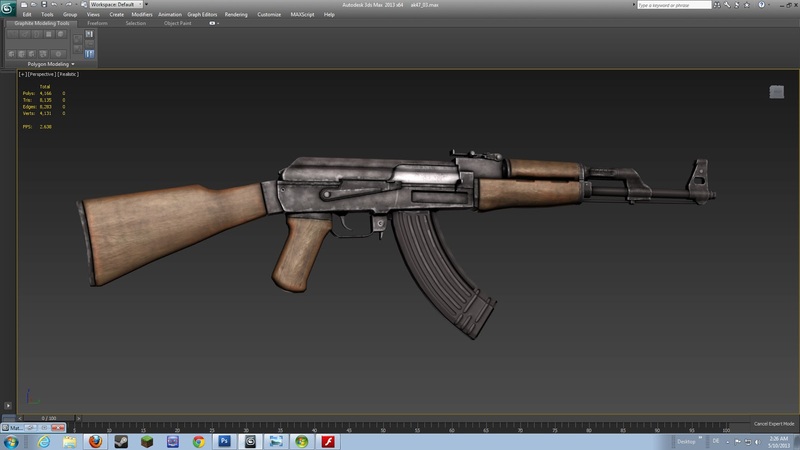 The lowpoly has 7002 tris, AO and normal map are baked from the high poly. One of the doors will be open in the final scene. yeah, the last crunch update. we are still sitting on some VFX and the final soldier mesh with posing. but as far as we know, there are still some hours to go. i made one stone for the scene and also some background hills, which are basically alpha test textures on a displaced plane. i also added some VFX. more of the VFX is to come for the final scene. 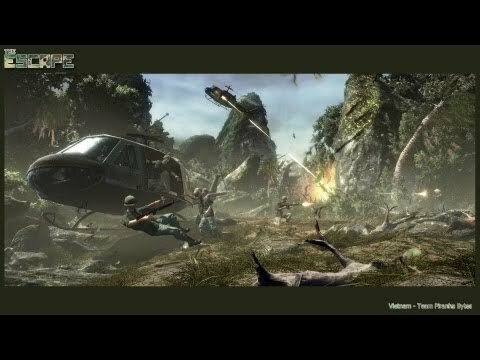 see our new vietcong in action! Love it! can't wait to see the final shots. 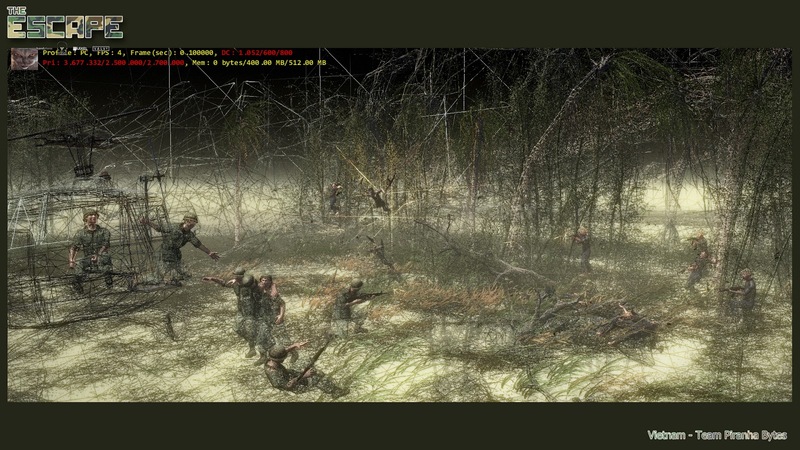 Here the tech-shots for the marine and the vietcong. hey guys. we finally made it to the final posting..
we submitted 5 minutes before closing of the submission thread. therefore some detail techshots are not available in the final posting. but first the final pics. these are also as an update in the first posting of this thread. 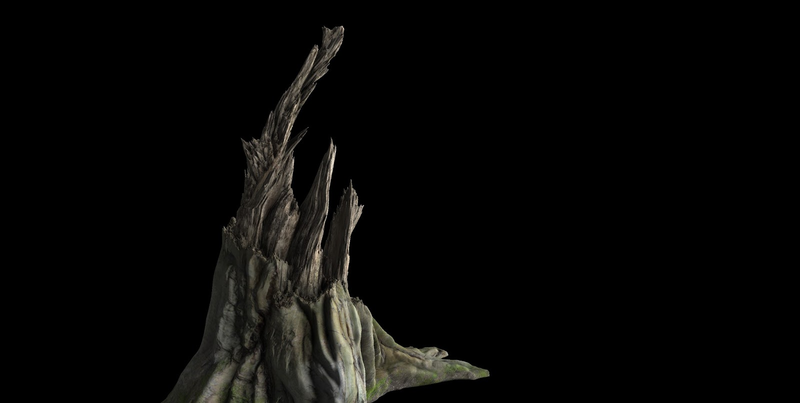 since andi already posted the character tech shots, i'll only post the environment tech shot here, since they are missing in the final posting. that's it. if you want to see more, just ask. thank you for watching this post! there is now a video which shows the scene in our editor. we didn't put any effort into the moving parts of this scene, like particle effects or wind. therefore the wind in this scene is much too fast and comic like. 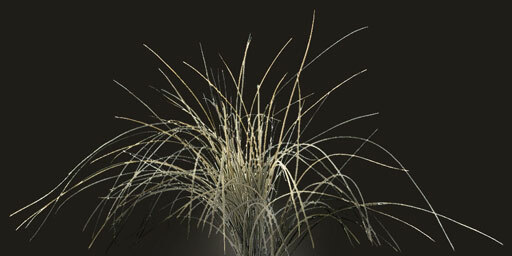 this video has also some problems with the grasses, which flicker in the distance. 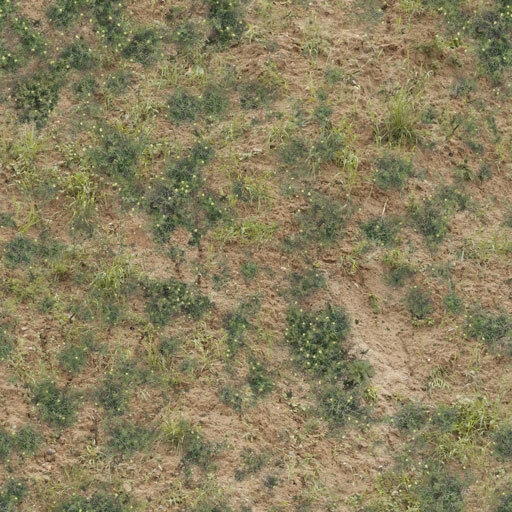 that is because in our editor, the antialiasing is not enabled, as also we have an unsolved mipmapping issue with the grasses. the scene is also not very optimized for performance as you can see in the stats in the footage. Marine and vietcong with their weapons. I love the motion blurred decals, nice idea that gives the scene a dynamic feeling. Also thank you for the great documentation about your work and workflow. Was interesting to read. Cool stuff Guys. Go ahead. 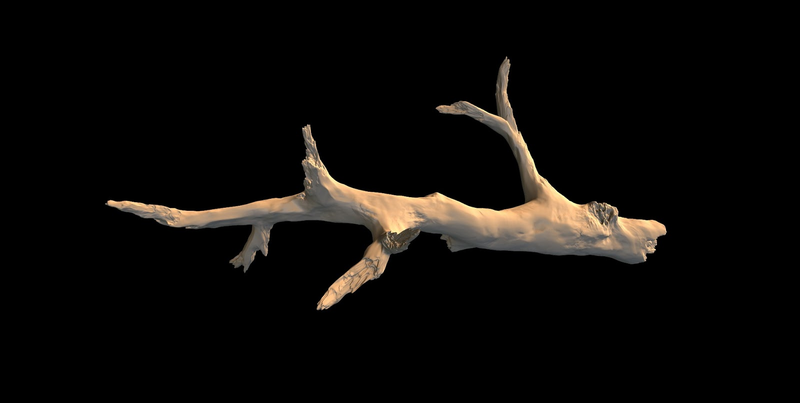 i will make a tutorial un the sculpting workflow for broken wood. Hey, The Project looks very good would love to see it go along, if you'd ever need any help! im your aussie! !